Today I want to reviewing a product that was launched some time ago. It's a new lipstick / lip lacquer from Bourjois. 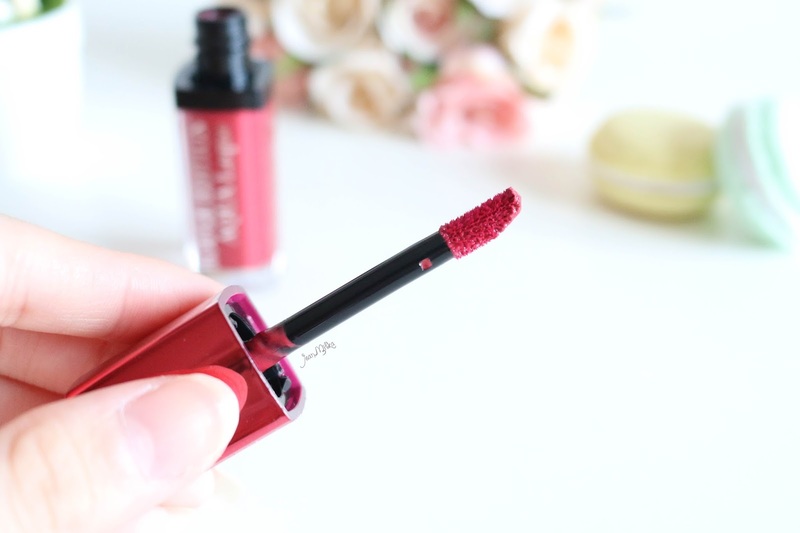 We know the hype about Bourjois Rouge Edition Velvet that sold out most of the times. 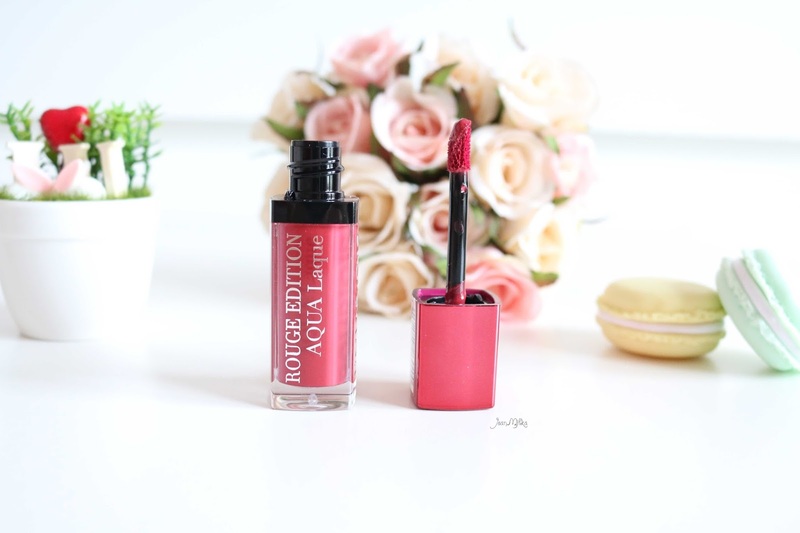 Beside the Rouge Edition Velvet collection, Bourjois is also launched The Rouge Edition Aqua Laque. 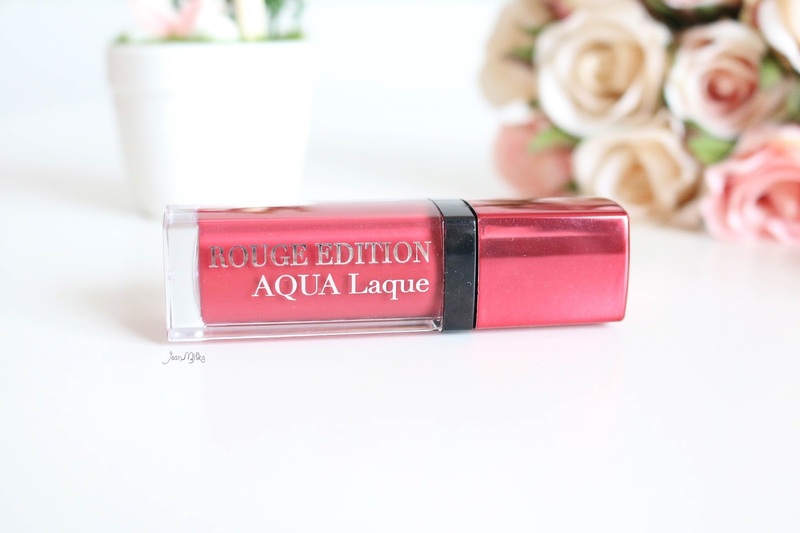 Different from previous collection, the Bourjois Rouge Edition Aqua Laque have water light sensation that is not sticky and glides on very easy on the lips. 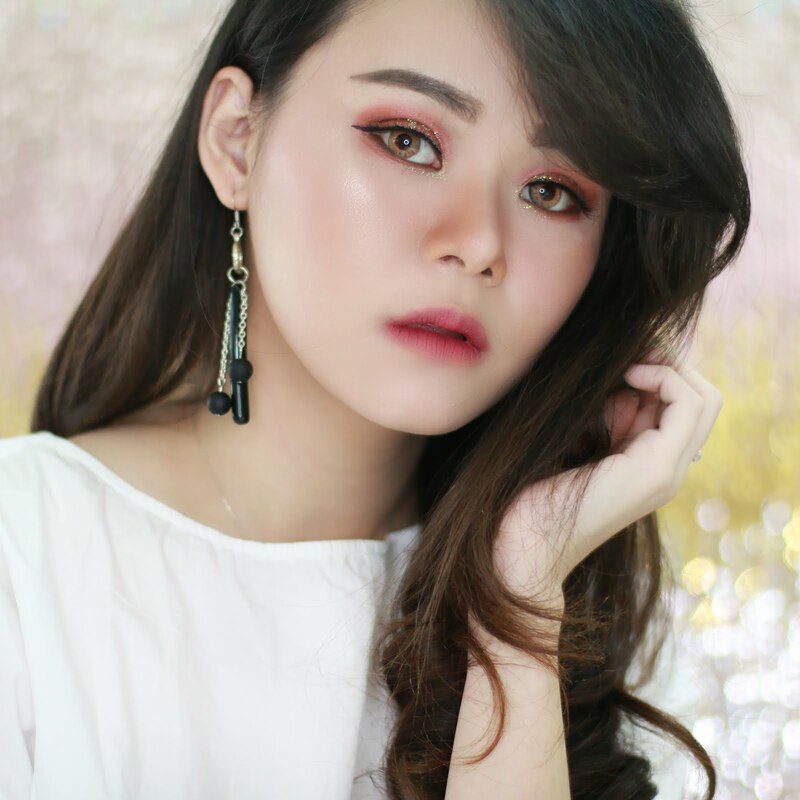 The Rouge Edition Aqua Laque have consistency like a water base lip tint. It feels like nothing on the lips, but the colour is quite vibrant. Bourjois claims that Rouge Edition Aqua Laque contains Nymphaea extract to smooth and moisturise. I really love the formula. It's lightweight with sweet scents that is not too strong. The water consistency make it easy to apply and once its set, it's not going anywhere. You won't need extra lip liner for this lipstick. It also comes with a cushion-doe foot applicator. 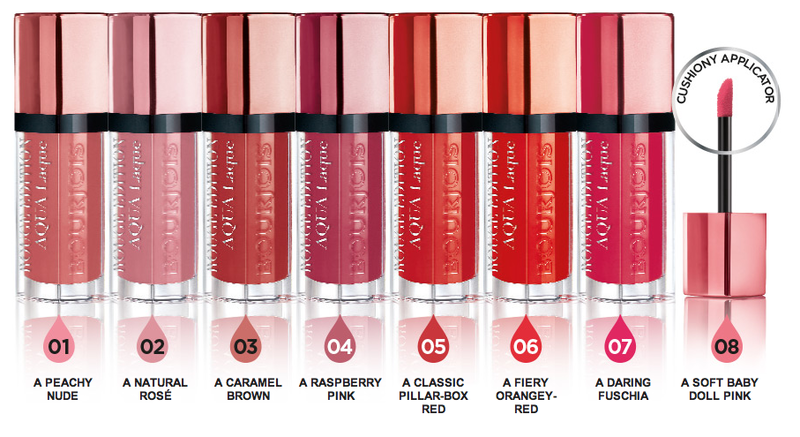 The colour I got is number 4 Viens si tu Roses which is a raspberry pink shade. As you can see from the pictures bellow. The colour looks more opaque on the hand rather than the lips. I love how shiny it is but without the stickiness of a lipgloss. 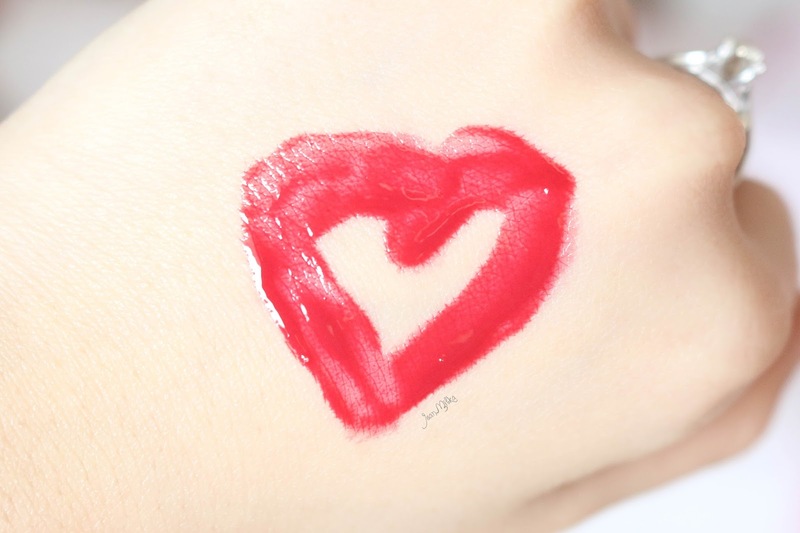 If you are looking for an everyday red lipstick, this is one that I highly recommended. The colour lasts for about 3-4 hours depending on what you drinks or eats. 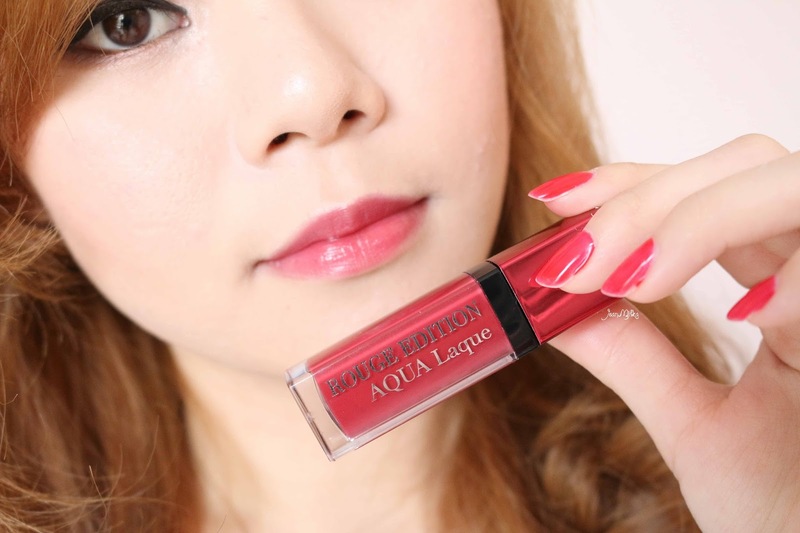 4 komentar on "Bourjois Rouge Edition Aqua Laque Review"
Aaak looks really nice on you, di counter udh ada kah je? Dasarnya warnanya memang nice sich kak .. aku pun pengen semuanya. Iya sudah ada kok di counter. Kalau ini lebih sering ada stock nya dibanding yg velvet.